++Overview: Zariel Horst [DECEASED] was born on the feral world of Gregorn in the Rubicon sub-sector in M41.636. Once he was of age (a feat unto itself), Zariel was press-ganged to serve in the Faith Militant by a passing Ecclesiastical vessel. For decades Zariel fought battles in the name of the God-Emperor before eventually attainting the position of Drill Abbot, training others in the art of holy war. In M41.721 Zariel was swept up in the Inquisition’s war against the Vaxi secessionists, a task he took to with much gusto. During the war Zariel was involved in the Scourging of Pollonia, personally leading thousands of feverous zealots and setting the hive to the torch. At the close of the war Zariel took a position on the shrine world of Ossuar in the Thule sub-sector, maintaining and training the Faith Militant who oversaw the protection of the entombed Imperial Saints. Subject was found by members of the Ordo Hereticus in the temple of Sanctity Ascendant on Ossuar. Subject was declared deceased upon discovery. Subject bore a single laceration to the sternum by a bladed weapon which passed through the breastbone before exiting between the T3 and T4 vertebrae. Subject would have died within moments of the injury being suffered. Subject bore no signs of defensive wounds. Post-death injuries include severe blunt force trauma to practically the entire body consistent with a high-yield explosive at close range. Assumed to be caused by [REDACTED BY ORDER OF SICARIUS PROTOCOL 8438786B, SUB-SECTION 38418F]. Zariel Horst: Human, Male, sample consistent with previous DNA file. UKNOWN STRAIN: Human, sample too damaged for further testing. UNKNOWN BIO-OIL/BLOOD COMPOUND: Consistent with mechanicus-grade synth-blood. UNKNOWN BIO-OIL/BLOOD COMPOUND: Extensive chymistry-enhancements of unknown origins. UNKNOWN BIO-OIL/BLOOD COMPOUND: Extensive chymistry-enhancements [REDACTED BY ORDER OF SICARIUS PROTOCOL 8438786B, SUB-SECTION 38418F]. No other bodies of note were recovered during the investigation. 213 other personnel appear to have been killed during the events described above. Wounds are consistent with [REDACTED BY ORDER OF SICARIUS PROTOCOL 8438786B, SUB-SECTION 38418F]. Officially classed as Accident Occasioning Death by the Ordo Hereticus. 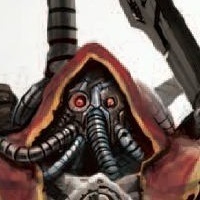 ++Overview: Magos Dominus Mycandra Vas [DECEASED] was born of the Cult Mechanicus on Rhodin IV in M41.607, and from birth was raised to serve the Omnissiah in any capacity. After completion of her induction to the Cult Mechanicus, Mycandra Vas served as a Transmechanic for the Legio Cybernetica and was involved in the persecution of the barbarous Orks present in the Rubicon sub-sector. Ancient allegiances required the cohorts of Rhodin IV to aid the Inquisition in the war against the Vaxi Secessionists, and the Legio Cybernetica was no exception. At the time a Dominus, Mycandra Vas led hordes of fearsome machines in the war on Vaxi, the non-living robots more than suited for rooting out deeply entrenched bunkers of Secessionist PDF in hostile conditions. Sealed first-hand accounts from interrogations conducted on the survivors report the utter terror suffered by the Secessionist soldiers when faced with the implacable legions of beetle-like monstrosities covered in dust and blood – machines that killed without conscience or mercy. At the close of the war Mycrandra was awarded the rank of Magos Dominus and granted access to classified knowledge pertaining to [REDACTED] gathered by Inquisitorial forces during the war. Subject was found non-responsive in a sealed office at the top of a 2200m high fabrication tower on the forge world Rhodin VI in the Rubicon sub-sector. Cause of death appears to be a single solid projectile round to the frontal cortex. The round struck the bonded line of the subject’s cranial armour, exploiting a previously unknown weakness inherent to the implant. Logistician reports indicate that the round was fired from approximately 6.6 kilometres away at an angle of close to 67.3%, resulting in the round entering the subject’s cranium from a high angle and exiting close to the tailbone. The round passed through a 112mm thick sheet of plastiglass prior to striking the subject. Death would have been instantaneous, despite several failsafe bionics present in the body of the subject. The round appears to be a custom-crafted, high-density, adamantium-cored projectile with a micro-powerfield generator. Such a device is clearly an item of tech-heresy and has been confiscated by the Archmagos of Rhodin VI for study and dissection. After 7 months of investigations the Collegiate Extremis have declared the case as an “Act of the Omnissiah” and closed it indefinitely. ++Overview: Colonel Tyrus Vole [DECEASED] was born and raised on the world of Gnashal Oblitia in the Rubicon sub-sector. A little-known world. Oblitia provides the finest private military contractors in the sector, selling their services to the highest bidder. At the call of the Inquisition, the entirety of the Oblitia Dragoons joined the loyalists in holy war against the Vaxi Secessionists. While serving on the ground, then-Colonel Tyrus Vole and the Oblitia 201st were tasked with routing out a hardpoint of Secessionist defenders from the fortress Annalisa. After a bitter and hard-fought battle the fortress was taken by the 201st, with over 4000 secessionist soldiers captured. Orders soon came down to take the next fortress, easily twice as defended as the last, a task the 201st and Vole did not relish their chances of surviving. In an act of pure fear and terror, Vole and the 201st crucified every one of the 4000 captured secessionists on the 40 mile road to the fortress, hanging 100 every mile on spars of wrecked members and beams for the crows to feast on. Arriving at the fortress Colonel Vole demanded the secessionists execute their commanding officer and surrender, an order which was quickly complied with by the defenders. The 201st continued in this fashion until they had captured a string of fortresses known as the Galliard Line, leaving Hive Pollonia practically undefended. 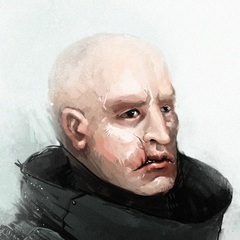 Awarded the rank of General for his actions on Vaxi, Tyrus Vole was stationed comfortably on the Munitorum world Laran 9k, training future officers in the ways of terror and psy-ops. Subject’s body was not recovered in the course of the investigation. Vid-logs show General Vole leaving a meeting at 2115 hours and returning to his offices. There he attended to dataslates and documents on his desk for 17 minutes before rising to prepare himself what appears to be an amasec from the refreshments cabinet. A brief jump in the vid-logs at 2133 is present. The next moment appears to show a hooded figure standing in the office of General Vole. The figure appears to speak to the General [AUDIO CORRUPTED], who responds with a start, dropping his glass of amasec. The figure then casts out their hand towards the General, who appears to become frozen in place. The figure appears to speak further, before once again casting out their hand. Beneath the General appears a black void into which the General as well as portions of his office disappears. The hooded figure then stared directly into the vid-feed, showing a youthful male with narrow eyes and dark hair [CONFIRMED: Likeness for Interrogator Dama at 88%]. The vid-feed jumps once more and the figure is gone from the office. The Commissariat of Laran 9k have officially declared General Vole AWOL and in dereliction of his duties. Found in the hideout of agent Pion. Attempts had been made to destroy the item. Name of a regicide piece. A chartist vessel that operates within the Stygies Cluster Subsector. ++Conducted by Agent Gnaritas, 819.M41 aboard the Fury Untold. Records are scarce or incomplete at best, redacted or destroyed at worst, but enough fragments can be pieced together to reveal the following. The familial name of Severan appears to have been adapted from that of Sveneras, an archaic name with deep ties to the world of Vaxi. Up until approximately 100 years ago the family of Sveneras shows up in several historic documents, but little else can be found. A collection of ancient chartists manifests show the name Sveneras in relation to a guild of pilots – natives of Vaxi who organised and oversaw the transport of goods from the void to the surface. Over time the Sveneras Guild appear to have collected an impressive amount of bulk-haulers and lifters capable of short-range inter-system flight. As the war reached its ultimate turning point, and the forces of Hark were unleashing barrages of broadsides against the undefended surface, there were few who were brave enough to risk flying into utter hell in the hopes of escaping a vicious end. Through a clandestine network of contacts, the Sveneras Guild had confirmed what appeared to be a gap in the encirclement of Vaxi, and preparations were made for an escape. It was not to be however, with the supposed contact in the Loyalist Navy betraying the movements of the refugees, the ultimate result being the loss of over 30 million souls. Scant months before the Vaxi Secession, Urial Severan’s grand father travelled to the agri-world of Cel in the hopes of expanding the Sveneras Guild to new horizons. Upon arriving on Cel, the grand father learned that the tides of the warp had been unkind to him, many years having passed since his leaving. Vaxi was a world on fire, and the purges of any connected to her were scouring the sector. Fearing the worst, he abandoned his familial name and took work as a simple farmer. Many years later, Urial was born, and was raised on the stories of his grand father. 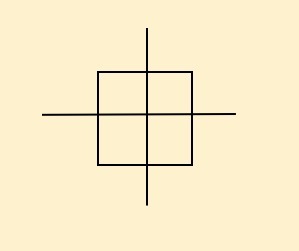 Urial, or Pion, does not work alone. In the efforts to rebuild the family that was lost, Urial’s grand father sired many sons and daughters, and they sired more of their own. In truth there are eight who carry the name “Pion”, each a blood relation of the Sveneras family. Served as a Commodore during the Vaxian Heresy. Received commendations for actions taking during the purging of Vaxi. Was gifted the position at Port Lokhart for his actions taking the station during the Heresy. He executed those holding the station after they surrendered to him. As part of the blockade of Vaxi his raider squadron intercepted and shot down escaping heretics, including what is believed to be the last of the Sveneras family. Conducted by Interrogator Castus, 819.M41 aboard Port Lokhart. Gaja's Mission Statement: "On a world of mud and rain and madness, where the Lucidity travels, murder one of the Twelve so-called protectors of truth and justice". Information on the traitorous Inquisitor is difficult to come by at best, and absolutely nightmarish to collaborate at worst. Reams of data from closely sealed archives and heavily redacted reports clash in their differing accounts of what happened on the blighted world of Vaxi, not to mention the suspicious feeling that there yet remains something hidden from you. Malik, or Sesselie as she was known at the time, appears to have held a unique rank within the inner circle of Lord Romonav – The Black Hand. By all accounts this appears to be an advisory role similar to that of Seneschal, so it may be inferred that Malik was close to Romonav and his family in some capacity, giving credence to the claims of Pion that her mission in Askellon is one of revenge for the deaths of the Romonav family. Documents recovered from the Sanctum Eternis, the palace of the Romonavs, indicate that the Black Hands had a far darker role than initially assumed. Not only did they act in an advisory capacity, they were also masters of espionage and assassination, protecting their liege lords from all possible avenues of danger. Agents of the Black Hands received their positions as a matter of hereditary, with the role passing from parent to offspring. Despite her young age, Malik had been trained from birth to step into the ranks of the Black Hands, and by all accounts had a spotless record in protecting and serving the Romonavs, in particular the youngest daughter of Lord Romonav – Annalisa Romonav. From here the accounts and records are so polluted with redactions and deletions as to be essentially worthless – nothing more than hearsay and rumour. Of what happened to the Romonav family none can be certain, with the exception of Lord Romonav himself who’s public execution is a legend in Askellon. As his attempt at secession was nearing its ultimate failure, Romonav was found dead upon his throne at the annual state opening of court at the Pellucid Tower where he had traveled to petition for further support from the Lords of Askellon. Five thousand petitioners looked upon his face and blanched at the expression they saw on what remained of his features, before hurrying silently away lest such an awful fate be visited upon them too. Although the atrocities committed at Vaxi were simply unspeakable, it is often the echoes of war which spread the greatest ripples. With billions dead, entire fleets burning in orbit, and sector economies shattered for decades to come, not a single soul in all of Askellon was left untouched. The forces of the Inquisition stretched far and wide hunting down sympathisers and allies of the secessionists, many of whom were innocently enough simply swept up in their loyalty to Lord Romonav. The Meng Chartist House had subsisted in Askellon for centuries, providing supplies and transport for citizens of the Imperium in every corner of the sector. When Romonav called for aid, the loyal Mengs were quick to answer. Villich Meng, the patriarch of the house, had actually been boyhood friends with the sector Lord in their earlier years. Villich pleaded with Romonav to stay his hand and reconsider his course of action, but by all accounts his words fell upon deaf ears. Loyal to the last, Villich dedicated his house and all its assets to his liege lord and swore to serve. Throughout the conflict the ships of House Meng ferried wounded, supplies and munitions to and fro, making daring blockade runs with capital vessels and braving in-atmosphere salvos in drop-ships. By most estimations, without the bravery of the Meng household the war would have end far sooner. When the war began to turn, and Lord Romonav realised his coup had failed, he ordered the remaining loyal ship captains to take as many wounded and refugees as possible and flee to the outer sub-sectors. Suicide-saviour runs became the norm for House Meng and many others – brave ship captains purposefully sacrificing their vessels acting as shields for the escaping soul-laden transports. Despite their efforts only a handful of ships escaped the guns of the Imperial Navy including the Meng capital ship Horizon Frontier, the last of the House Meng vessels. For many years after the conflict the now shattered House Meng scurried from safe-port to safe-port all the while dogged by the tireless hounds of the Inquisition, the Gnshal Oblitia Dragoons. Time after time the baroquely-clad Dragoons raided the ports and stations that showed allegiance to House Meng, slaughtering any they found and forcing the Horizon Frontier into the open. It was during this time period that young Partheos was born, his earliest memories being of fear and trepidation as enemies of the house tried again and again to destroy the only home he had ever known. Soon the House of Meng had nowhere left to hide, and in the Thule sub-sector they prepared to make their final stand. To say the Horizon Frontier stood any chance would be a lie, for while she was a capital ship of some regard she had nothing on the warships of the Dragoons. Salvo after salvo smashed into the flickering shields of the Meng capital ship as deadly raiders laden with boarders waited for their moment to strike. As the shields fell the raiders darted in, deploying ten thousand Dragoons wielding vicious chain-axes and short-barrelled shotguns. It is said that the decks ran ankle-deep with crimson ruin in the ensuring hours of butchery and carnage, and before long the Horizon Frontier belonged to the Dragoons. Partheos, still only a young lad, was bundled into an escape craft, the last image he saw of his parents witnessed through a small viewing hatch as they were cut down by the churning blades of howling madmen. Telemetry reports indicate that the escape craft landed on the world of Aventine, but upon inspect it was found to be so severely damaged on impact that none should have survived. The Mechanicus are fastidious in their record-keeping, a boon to many who seek to uncover secrets best left uncovered, with swathes of binary code keep all but the most astute of information gathers at arms length. Explorator accounts from centuries past containing data pursuant to Agent Margrave, then simply known as Enginseer Ventium, were no obstacle for Gnaritas. It appears the Explorator vessel Margrave was assigned to had made some rather esoteric discoveries in the deep unexplored sections of the Rubicon Sub-sector, discoveries of a profane nature to some of a more puritan bent. In secret they were studied and catalogued, the Explorators secure in the knowledge that so far off of the established routes that none would ever stumble across them. The Pandemonium, so unpredictable, would quash such assurances. Whether it was chance or providence, the Pandemonium for a brief moment vomited forth a clear path to the region of space the Explorators were investigating. It would have gone unnoticed by most with few bothering to risk gazing into such uncharted and dangerous territory, but there were some desperate enough to see the unseen. The Shrouded Houses, those Navigator families who have fallen far from grace, are often driven to desperation in their quest for elevation or redemption, and will gaze into the madness of warp storms in the hope of finding a glimmer of salvation. A Shrouded House which had only recently entered Askellon, fleeing from misfortune in the Calixis, were in the right place at the right time to see the newly opened route clear as a summer’s day. The Explorators were surprised at the arrival of a Navigator Charting Vessel shortly after the storm abated, and tense negotiations quickly took place between the two parties. Agreements were reached, with the newly elected Explorator Ventium captaining the dialogue and terms. The Navigator House would place a 100-year hold on its newly-mapped warp-routes, and in return the Explorators promised a percentage of profit from their excursion to be paid every decade until the hold expired. It appeared to all present that both parties parted ways amicably, but the hearts of men are swayed far more easily than those of machines. Billions of volunteers, career soldiers, and draftees served at the pleasure of Lord Romonav VII during the Vaxi Secession. The family of Wynnif had a long and vaunted history of loyalty to Vaxi, serving in the PDF for generations. When the call to war began they were among the first to step forward, pledging to defend the citizens of Hive Pollonia from aggressors. As the war raged forth Hive Pollonia was a vital staging post for the Secessionists, a bulwark against aggressors venturing further into the world and assaulting the capital hive. Resources were in short supply around the globe, yet the defenders held on against hope that relief would be coming, for Lord Romonav VII had secured hundreds of chartist vessels at the outset of the conflict, assured that they would make their deliveries in time. When the promised aid did not arrive, and the enemy on their doorstep, the defenders were left with a choice: abandon the hive and flee towards safety, or stay and put up one final stand to delay the enemy. To the soldiers of Vaxi the choice was clear. As the Loyalist forces threw millions of bodies at Hive Pollonia the defenders grimly held out against the inevitable. Alas for their bravery they were rewarded with flame as the Faith Militant put the hive to the torch upon breaching the walls, burning alive the inhabitants both civilian and military. Wynnif was but one of a handful who escaped the inferno, but not without injury, bearing angry red scars from the scorching heat of burning promethium. She watched from hiding as the home she had sworn to protect burned for 20 days and 20 nights, a charnel house of screams and terror. They had been betrayed, of that she was sure, but the why and the who Wynnif knew not – several chartist vessels had been allocated to supply of Hive Pollonia, and any of them may have turned tail or been bought off. She wandered the battlefields of Vaxi for several more days before her eventual capture and imprisonment by the Loyalists. Enoch Reddin lived as a simple tracker and huntsman on the world of Vaxi for much of his life, free of violence and danger. When the wardrums beat finally reached his secluded mountain home, Enoch registered to serve in the forces of Lord Romonav VII in order to defend his family and way of life. As the war began to turn against the Vaxi secessionists, Enoch abandoned his post and fled along with his family, hoping against hope that they might escape. They drove deep into the wilderness of Vaxi, Enoch utilizing his prodigious survival skills to avoid the enemy’s patrols and living off of the land. Reports indicate the bounty for the one known as the White Death was of such high value that many took to the wilderness themselves to search for Enoch. Few returned. When the military failed the task of capturing refugees fell to the Adeptus Arbites, far better suited to tracking the whereabouts of criminals. While many Arbites were involved in hunting down refugees and escapees, the Legion took special interest in the White Death, dedicating a significant portion of their forces to finding the man who had eluded capture for so long. Apprehending Enoch would do much for the war-effort on Vaxi, demoralising those still resisting the Emperor’s judgement. Reports indicate that two of the Legion met their ends while hunting for Enoch, his patience and skills as a hunter of animals easily turned to that of men. His family however fared less-well, the capture of his wife and four children taking place in a lighting raid while Enoch was distracted by a clever ruse. The Legion would use his family to draw the White Death into the open at last, and a most foul plan was concocted to do so. In a simple clearing several kilometres across a set of wooden spars formed in the shape of the Imperial Eagle were erected. Upon these crucifixes were hung the family of Enoch, and for days on end they suffered a most torturous fate. Their cries were amplified by mega-voxes, echoing through the mountains and valleys of Vaxi. Marksmen and soldiers were on standby to act at the first sign of the White Death, and Aquila Landers circled the tree-lines. Enoch could only listen, watching through his scope as his family were punished for the crime of daring to survive, daring to stand up to totalitarianism and injustice. All the while the Legion stood in full view by the crucified family, knowing that the moment Enoch dared to take his shot he would be located and captured. On the third day a succession of shots rang out, so quickly as to blend into a single cacophonous crack of splitting air. Before any could react the deed was done, that morning’s torturer lay in a pool of blood with a round passing cleaning through their left eye, and the family who had suffered so much hung slack on their spars with rounds through each of their hearts. The retribution of the Legion was swift, and a cross-country manhunt chased Enoch through the wilderness. Reports differ in the exact result of this action, with many claiming to have killed the White Death. What is known is that Enoch, gravely wounded from a multitude of mortal blows, tumbled from a rocky cliff face several hundred meters above a roiling river. While his body was never recovered, the White Death plagued the Loyalists no more, his case officially closed and sealed. Conducted by Interrogator Gallach, 819.M41 aboard the 'Fury Untold'. All of Malik's orders were assassinations and all related to Vaxi. Margrave Mission Statement: "Murder a man who can see truth in a storm of chaos. where the Imperium ends and Askellon begins, on a world where the privileged bicker and fight over scraps of yesteryear". Cavallo Mission Statement: "Murder a family which deals without faces, where the cyclopean blue eye of a goddess shines upon the wicked and the deceitful". Performed by ship-surgeon Chevar, 819.M41 aboard the 'Fury Untold. Conclusion: Agent Pion appears to have undergone several years of intensive surgery and psycho-conditioning to appear almost identical to his brethren. Recommend use of spore-sniffers to track remaining Pions on Port Lokhart. Field-Interrogation of 'Deputy Dihk' by Interrogator Gallach, 819.M41 in city of Bastion, Temperance. Five deceased. Two killed by Gaja on Vaxi. Head of Imperial presence on Temperance. Leader of the Legion of Twelve. Injuries sustained on Vaxi. Only leaves her tower in an armoured rhino, rumoured to have barricaded her top floor of the tower with traps. Interrogator and spymaster for Vigis. Feared by inhabitants of Bastion. Allowed to torture to his hearts desire on Vaxi, probably including Gaja's family. Feared and public face of the Twelve. Leaves precinct regularly for raids. Missing for some weeks before Gaja's arrival. Performed by Dr Ocano, 819.M41, Temperance. DNA sample matches Adeptus Arbites files. Target suffered extensive abuse before death. This is consistent with gang torture rituals. CoD: Decapitation. Lacerations suggest chain weapon. Conducted psychically by Agent Gavriel, 819.M41 on Temperance. Target was Lord Proctor Vigis, in revenge for the murder of Gaja's family on Vaxi. Planned to kill her as she was travelling to meet with the Bishop of the Sons of Temperance. Carvallo has the ability to cloak and pretend to be dead. Hard to track and harder to kill. Essentially a walking WMD. Expect collateral casualties. Margrave won't be near his target. He prefers to strike from afar and not get his hands dirty. If you catch him, it's because he wants to be caught. Only Margrave knows where Dama is. Genealogy root report indicates Agent Gaja, confirmed as Enoch Reddin, to be 163 sidereal years old. Surprisingly lacking in cybernetics given information known about the agents of Malik and the propensity of Agent Margrave for extensive modification. MIU recovered from cerebral cortex - handed over to Inquisitor Sabela for cataloging. Extensive surgical repair throughout subject's entire body appears to have kept him in fighting shape despite his age and injuries. No evidence of pain-numbing medication found in subject's system despite injuries - he no doubt would have lived his life in extreme pain every waking moment. The Atticus Compound is the base of operations for the key figures within the Great Askellon Combine – notably the Tradermaster-General Zadori Whelk, herself a former smuggler who “saw the error of her ways” and now brutally enforces the rules of the Combine in Port Aquila. Don't piss in my pocket and call it rain - a carnodon don't change it's scales. She's a cut-throat of the worst kind. The Compound takes the form of over two dozen asteroid bodies bound together by cyclopean void-chains in a psudeo dyson sphere, at the centre of which is an artificial planetoid of unknown providence which had apparently been left behind after the Ork Waaagh several thousand years ago. Inside the inner compound visitors will find an ever-shifting myriad of corridors and walkways – practically unnavigable were it not for the curious servitor guides of similarly unknown design which are able to move freely about the compound. Simply by asking politely in some kind of proto-gothic, these servitors will take guests and visitors to the location of their choosing – providing they know where they wish to go of course. Many times an incorrect phrase can lead the unknowing deep into the compound, never to be seen again. It is even thought that some Orks, or worse xenos yet, might still reside within – lost to the ages. The Imperium keeps to itself in the port, squatting at the far edge of the system like some neglected child. Barely a skeleton crew run the starfort out there - sending out patrol sorties and training ops rather than deal with the illicit elements right under their noses. It's left to the Combine to police and enforce - inmates running the asylum if you ask me. There's some Adeptus elements on the Pride - cogmen, scribes, the usual, plus around 50 Arbites. The lawmen do their honest best to uphold Imperial justice, but being foreigners to the port they spend most of their time getting lost among thousands of tunnels and hide-outs. You can hear them coming from a mile off - jackboots vibrating the rocks. Just pack up and leave, wait for them to pass, then get back to it. Out towards the Coreward edge of the system you'll find the Fyceline Flotilla – a ramshackle collection of asteroids, ships, stations and satellites haphazardly bound together by void chains with seemingly no interest in design or architecture. It's where the less-desirable hideout from the Combine - recidivists, smugglers, mutants, even some xenos if you look deep enough. Keep your head down, your eyes straight, and frak with anyone who shows you attitude. Strength respects strength. ++Compiled by Captain Drake, 819.M41 aboard the Fury Untold. The stabilisation of Diomedea Stella has allowed the more adventurous pilots and explorers back into the system. The asteroid fields are colossal in scope and extremely dense; between that and the occasional odd moving cluster of planetoids, the fields to this day still remain largely uncharted. The Prospectors Guild entered Port Aquila a few centuries after the Waaagh! was defeated and began a simple existence among the rocks. While the majority of its business is in the extraction of desirable ores and minerals, part of its continued business is in locating asteroids suitable for habitation, industry, or refurbishment into new stations. Each team of prospectors is allowed to handle its own jobs and set its own contracts. There is no centralised location for the Guild that has been located, but that may be by design. What is known is that all teams have a strong knowledge of where their other teams are at all times, so if they cannot perform the job that is asked of them, they know where the people in the Guild are who can. Many of the smuggling rings in Port Aquila have used the Guild’s services at one time or another. The Guild’s teams excel at locating, setting up, and masking new sites, and reputedly are paid handsomely for it. The Combine has sought to use them, but thus far no contracts have been drawn up between the two organisations, primarily due to the amount of direct oversight the Combine requires. Once hired, the Guild tends to work without outside connection or input until the job is done. Smugglers such as the Pale League and Darriel’s Blackholds actually prefer it that way, for the lack of contact with the location helps retain its secrecy. The Combine, however, has its bureaucracy to maintain, and any plan for building or expansion requires official representatives to be present at all times. The Prospectors Guild claims it uses “proprietary methods” to complete its contracts, so no one outside the Guild is allowed. The Combine refuses to concede this point, and thus has to rely on non-Guild independents to work for them. If the stories are accurate, the Combine once hired several groups of the independents to track the Guild’s diggers, only to have one whole mining team return catatonic. No one else in the Combine’s employ has been foolish enough to try. Smugglers have maintained a niche market here, and are probably some of the most resourceful captains and pilots in the system. Most of them work in the trade of items the Combine refuses to touch, in order to limit contact with what passes for the law. The emergence of Trademaster Whelk makes them a target, though, and that is bad for business. Most of the smuggling rings are local, and handle moving items within the system from one source to another for a reasonable fee. The vast majority of these groups are skilled enough to avoid detection, or are small enough to not warrant investigation or apprehension. Those with the ability to leave the system, however, are careful to kit out their ships with hidden holds and airtight reasons to depart the system, in case the Combine or the Imperial Navy decides to stop and search them. Many of these Warp-capable rings have begun talk of banding together, but as yet have not generated any noticeable cohesion. The Pale League is a new arrival to the port, though no one can say where it comes from. While it may be a home-grown coalition, it is more likely being funded by an obscenely powerful and wealthy entity. The League operates in the Faceless Trade of forbidden goods, specifically in xenos artefacts and other illicit materials. Its members are seldom caught or spotted, and often leave traps behind for their pursuers to stumble through. This bears the mark of seasoned professionals rather than fresh amateurs, and it is this level of sophistication which has brought much outside attention. Askellon’s many other syndicates, especially the Trade Sable centered on Desoleum, do not like competition, and through their agents has begun working with the Combine to help quash these rock-runners. To date, only one member of the League has been captured, and that one chose death rather than divulging information. Large or small, one thing is clear: the combination of Whelk and the Prospectors’ Guild has created a problem for all smugglers. As a result, smaller groups often work together to eliminate Guild resources whenever they are found. Several exploration units have gone missing recently, and a surveying unit was found dead at its last known location, clearly victims of foul play. If rumours are true, the two attempts on Trademaster Whelk’s life were also plots of local smugglers, though she has made quite a few other enemies in her time at the post. Reviewing the reams of starcharts kept in the lavishly appointed state rooms of the Fury Untold, some comprehensive and others vague beyond understanding, Gallach centres in on what he is certain is the mysterious "edge of Askellon" spoken of by the dying Agent Gajah. The Rubicon Sub-Sector, namely the Coreward border which joins Askellon to the cursed Calixis Sector. Narrowing down the search ever further, this time in deep conversation with Captain Drake and the Archivist of the Librarium - both wellsprings of knowledge pertaining to Askellon, the planets of the Rubicon Sub-Sector are slowly eliminated one by one. Rhodin IV - a prosperous factory world which enjoys obscene wealth, mostly on the backs of the slaves of its sister-world Ferrom. Gregorn - a blighted death world which exists still only because of the cost in conquering and pacifying the predatory megafauna who call it home. Kalto - the less said of this world the better, for it is a most wasted place currently subject to extreme martial law after a breakout of the viral flora known as "Boneweed". Vouxis Prime - a strong contender were it not for the final choice, for indeed the world was once prosperous and a secret war is conducted under the earth, albeit against the foul greenskins and not among the wealthy and powerful. Days of research leave only a single choice - the Terminus System. Wracked by an all-consuming proxy war which has no end, draining the resources and funds of the many mercantile houses who engage still in open warfare, there are nought but fragments of prosperity left in the craters and trenches of Terminus. Those who could fled to the newly crowned Terminus Prime, taking with them whatever wealth they could manage. It was from here they orchestrated the war-economy on Terminus. Fearful of the danger, traders from across the sector reneged on their contracts with the trade-lords of Terminus, further ravaging the declining wealth of the system. Today the worlds of the Terminus System are suffering the long, slow decline of economic ruin and stagnation. In lengthy discussions with Navigator von Trusst, during the times he is not piloting the Fury Untold through the miasmic torment of the immaterium on route to the Terminus System, the Acolytes of Medusa Cell learn much about the mysterious and cabal-like families of Navigators within Askellon. At the top of the order are the Great Houses - centuries and often millenia-old dynasties of equal power to any Rogue Trader. Beneath them are the myriad of minor families - functionaries who rarely leave the sub-sector of their birth. Finally there are the Shrouded Houses - those who have committed a most terrible sin against the Great Houses and are cast out from their home-sector under pain of death or imprisonment. These Shrouded Houses are forced to flee to neighbouring sectors, often changing their names and selling-off their warp-charts to survive. Wilhelm can think of only one house of Terminus whose past is curiously missing from the earliest annals of Askellon: House Ursa. It is without doubt that Ursa are the target of Margrave - but who within, and why, is unknown. While not one in the good graces of the machine-church, Rune-Priest Armello nonetheless has access to stacks of data on the inner workings of the Adeptus Mechanicus thanks to his service under Inquisitor Sabela. "Margrave, or should we call him by his true name, Ventium, is a biologis primarily, but his skill set seems to encompass many other fields. According to our autopsies and post-mortems on the agents of Malik thus far, Ventium's ability to revive and improve upon the flesh is equal to that of the heretek monster Magos Vathek of the Calixis Sector, although he has somehow managed to avoid the use of the Sarcosan Wave tech-heresy of which Vathek was a proponent of. This does not spare him from the brand of heretek, however, no, no. Far from it indeed. The Pions were almost perfect post-parturition clones of one another, even down to their individual genome-code. Gajah was a network of reinforced bones, tissues and other enhancements, keeping him in top combat condition well into his second century. Cavallo, by your own accounts, was nothing short of a miracle - blending technology and man into a perfect killing machine. She took four melta-class strikes to the torso as well as a warp-curse before she finally died. And all this is before we even approach his abilities as a weapon-smith; Pion's hollow-blades and concussive darts, Gajah's rifle and shift-suit, and the armour and sword of Cavallo. These items are truly unique constructions the like of which bear no resemblance to any STC I am aware of - the work of an absolutely insane, yet brilliant, madman. I doubt there are any others in the sector, heretek or not, who could boast such a resume as Ventium. Ventium is no fool. He knows he cannot run forever - not from the Inquisition. He's been too close to the Ordos for far too long to make such a foolish judgement. I predict that he has something in store for you, for he must have by now heard that he and his ilk are being pursued. Acolytes, I fear that whatever it is you're walking into on Terminus will be a trap in of itself. Ventium appears to have a mind beyond the comprehension of those loyal to the Mechanicus or the Emperor - you'd have to be as of an unsound mind as he to possibly predict, or even attempt to outwit him. It may well be that the only way to beat such a creature is at his own game and on his terms. Conducted Agent Hayl under the guidance of Rune-Priest Armello, 819.M41 aboard the 'Fury Untold'. Interrogator Dama, then only a young boy, survived the capture and sacking of the Horizon Frontier by escaping to the world of Aventine. Among the feudal population he was easily able to conceal his presence from the Dragoons of Gnshal Oblitia. Eventually the Black Ships collected Dama and others from the world and the boy, now a teenager, underwent Sanctioning. Dama seeks his familial ship, now renamed the Iron Drake and operated by the very same Dragoons which killed his family 100 years ago. The Iron Drake is currently engaged on the death-world of Gregorn along with several other regiments as part of a long-running effort to pacify the barbarous Orks which prevent the Imperium from exploiting the world's abundant resources. Dama plans to sequester himself aboard the ship and hide-out until it returns to Gnshal Oblitia. When it is in dock, he will use his prodigious psychic powers to force a warp-event from the ships gellar-drives, crippling the world for decades to come with violent warp-anomalies. Research data on psycho-conditioning, gene-therapy, cloning, and an unknown substance Margrave acquired in M41.816 which far exceeded his wildest expectations and propelled his research into new heights. He appears to have dubbed this substance "Shifter" in his notes. In addition to the above, Margrave's research indicates he improved the profane narcotic known as "Spook", known to artificially enhance the capabilities of psykers. Trails conducted on enslaved psykers show extensive successes were achieved, with low epsilon-grade subjects reaching high gamma or low beta-grade after a single dose. Results were short-lived, with subjects suffering diminishing grades shortly after dosage, even to the extent that some particularly weak psykers being rendered disparate from their connection to the warp. These side-effects were isolated and fabricated into a new anti-psyker chemical which could be delivered via injector or needle-based weaponry. V1 Margrave: What does this tell you, Malik? V2 Malik: It tells me that the Inquisition is onto us, Margrave. It won't be long before they start sending agents to bring us to heel, if they haven't already. V4 Cavallo: I. Protect. Malik. No. Harm. V1 Margrave: Hush, Construct. Cease vocal functions. V2 Malik: Margrave - that is no way to speak to her. V1 Margrave: It, Malik. It's and It. There's nothing left of "her". V3 Dama: And I'm sure that had nothing to do with you, did it Margrave? V2 Malik: Dama - good of you to join us. Have you reviewed Margrave's report? V3 Dama: I have, Inquisitor. V2 Malik: And? What are your thoughts? V3 Dama: I think it's a trite panicky, Inquisitor. We've been exceptionally careful - I don't believe the Inquisition are as close as Margrave suggests. V1 Margrave: You don't say… Malik. A question: Dama's eyes - would you say they are a particular shade of cerulean, or more of a celeste? Chainsword: Activating. Striking. Missing target. Powered Blade: Striking flesh. Pained grunt from V3. Sound of body collapsing to ground. Electrical Discharge: Striking flesh. Sound of boiling fluids and meat. Pained screams from V3. V1 Margrave: STOP! Cease all functions! Electrical Discharge: Ends. No further sounds from V3. V2 Malik: (Panting) In all my years - never thought I'd actually see one of these. V2 Malik: It's dead is what it is, Margrave. Leave it at that. You were right in any case - the Inquisition is always closer than they appear. V1 Margrave: May I keep the remains? I wish to study it. V2 Malik: No. Dispose of it at once. Another victim of the Inquisition - let it rest in peace. V2 Malik: (Terse) I said, no, Margrave. Let what is dead stay that way. The Orks, also called Greenskins, are a savage, warlike, green-skinned race of humanoids who are spread all across the Milky Way Galaxy. They are seen by their enemies as savage, warlike, and crude, but they are the most successful species in the whole galaxy, outnumbering possibly every other intelligent race, even Mankind. Your average Ork "Boy" as they are known can easily best a human in terms of physical prowess, tho their agility and cognitive capacity ofen leave much to be desired. A race which quite literally thrives on warfare, Orks will increase in mass, ability, and intellect the more battles they survive, leaving the largest, most fercious, and cunning Boys becoming "Nobs" (clan-leaders or Sergeant equivalents) and eventually "Bosses" and "War-bosses" (Captain and General equivalents) should they live long enough. Ork Physiology is fascinating and terrifying in equal measure, demonstrating inhuman degrees of resilience to the point where they can withstand seemingly fatal wounds with little apparent long-term consequence. Indeed, Orks witnessed suffering fatal wounds in the midst of heavy fighting have often been observed again several days later, larger and stronger than they were before their injuries and with no sign of those wounds save for some largely superficial scarring. Within Ork culture (or "Kultcha" as they call it), there are unique breeds and specimens which often pose unique threats. The Ork "Doks" are their corpsmen or medics; the "Meks" their technicians and inventors; and the "Weirdboyz", those cursed with an affinity for the warp. You also have the Ork "Klanz"- subsets of Orks who think alike in their tactics or outlooks on life. "Speed Freeks" utilise roughshod machinery and vehicles, pleding themselves to the "Kult of Speed". "Flash Gitz" and "Lootas" construct dangerous and obscene weapons from the looted remains of their enemies, with typically lethal results for themselves and their targets. "Storm Boyz" ape the holy Astartes Assault Squads, strapping themselves to rocket-boosters and flying at their enemies with little regard for landing safely. 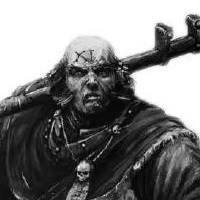 "Kommandos" employ stealth and subterfuge (or at least, what passes for stealth and subterfuge among Orks) in warfare, preferring hit and run and assassination tactics. "Mega Nobz" wear giant-sized powered-armour, making them nigh-on invincible against small-arms fire, and even some heavy-weapons. Ork technology is a thing of mystery to the adepts of the Mechanicus. Ramshackle constructs made without reverance to the Omnissiah nor the holy STC are somehow still able to function despite defying all logical methods of technology. The Orks have managed to copy and re-create almost every aspect of Mankind's technological dominance through what appears to be nothing more than sheer willpower and blind luck. Powered Armour, Titans, Dreadnoughts, Fighter Jets and Starships of Ork make are frighteningly resiliant, much like the Orks themselves, if prone to bouts of catastrophic failure on occasion. In conclusion - do not underestimate the Ork, for while his eyes may be narrow and his brain pitifully minute, he possesses a cunning, animal intellect which has surprised more than one, arrogant Imperial Guard Commander. Kapt'n Gen'ral Kakkbad has been tremendously successful, having achieved much at a comparatively young age and commanding thousands of Ork boyz. While his rise is a cause for some concern among Imperial authorities, his disparate forces’ raiding activities have not yet reached a frequency and level where a coherent military response is required by the ancient Askellian ordinances governing Naval deployment. Among the planetary governors and merchant fleet officers who are subject to greenskin attack, this indolent official response is a scandalous indictment of the waning capabilities of Battlefleet Askellon. The Ork warlord visits Gregorn with his entourage on a regular basis, finding the planet’s exotic selection of vicious predators much to his liking. Here, he hunts, fights, and holds court accompanied by a train of lesser warlords, alien mercenaries, and sycophants, drawn by his presence and the promise of a good scrap. In particular, Kakkbad has strong alliances with a large number of piratical Freeboota Krews who see much to admire in the warlord’s ambition and sheer naked avarice. Found on Heretical Agent Dama. Features the strange symbol believed to be that of the Patternari Cabal'. "Your fate will be unkind, and you will not die well nor without pain. I've shown you what will come to pass if you choose to not take this path. Worry not, you will have your vengeance. I promise you that. He will die in greater agony than you. You are the last piece.